Who are the clowns in this case? Our legislators, who cannot draft the legislation or US for accepting such absurd regulations? Brilliant article and hoping that none of the presented scenarios end up in court, but as you say, if you give tenants the opportunity, they will. and this Act definitely does that on many levels. So all that 'whitewash' about only 5% of the landlords will be affected by the S24 and that it only affects those in higher Tax Rate bands was utter tosh. Southend Council are charging £920 per property if you have 5 tenants and more if there are above 5. As at today, 14th Sep, they have not got their HMO licence application available online because they are 'updating' their website!! 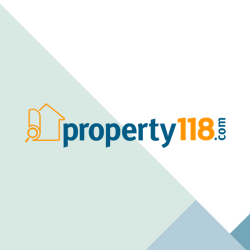 Are you a property businesses owner looking for someone to guide you through the various strains of technology to make your business life easier? Are you an investor looking to gain good returns through property and need someone to lend a willing ear to discuss your requirement and who also has a good understanding of various strategies and practical knowledge on how to employ them? Will be happy to meet and discuss your requirements. Please do get in touch.